Manchester United have been dealt some bad news, with Chelsea entering the race for Mateo Kovacic’s signature. The Real Madrid midfielder has been linked with a move away from the Santiago Bernabéu this summer and was on the radar of United, but it appears Chelsea could hijack a deal for the 24-year-old. Signed by Real from Inter Milan in 2015, the Croatian international has gone on to make 109 appearances in all competitions, winning three Champions League trophies and one Liga title. 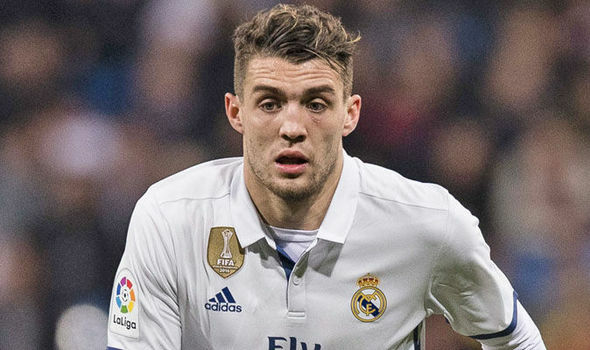 Kovacic has struggled for playing time, however, making only 10 league stars for Real last season, so he could be open to a new challenge. United have been in the market for a midfielder this summer. Michael Carrick retired to become a first-team coach and manager Jose Mourinho wasn’t blessed with much depth past Nemanja Matic, Paul Pogba and Ander Herrera at the end of last season. The Red Devils added Fred from Shakhtar, but Mourinho’s clearly not content with his current options. Kovacic would be a good addition. The box-to-box midfielder is strong in all thirds of the pitch and could add yet more steel to the engine room. Chelsea may also be keen on his signature, but there may not be room for him given Maurizio Sarri has the likes of Jorginho, Cesc Fabregas, Ross Barkley, Tiémoué Bakayoko, N’Golo Kante and Danny Drinkwater for competition. He wasn’t too enthused about the prospect of working with Mourinho either.